Mash up 4 to 5 fresh ripe strawberries. Apply the smooth fine paste all over your face. Once it gets dried, wash off with plain cold water to discover a bright and rejuvenated skin. Treat your dull and sunburnt face with this simple pack. Just reduce 2 to 3 strawberries to pulp and mix 4 to 5 drops of rose water with it. Spread onto your skin. Rinse away after 15 to 20 minutes. Want to get a blemish-free clear skin? Prepare a face pack by adding 1 tablespoon of fresh lime juice to 2 tablespoons of mashed strawberry and apply it on your skin at least thrice a week. You will get rid of tan and pigmentation easily. Ward off those pesky acne and pimples by using a strawberry and honey face pack regularly. All you need to do is to blend a few crushed strawberries and 1 tablespoon of raw organic honey together and leave it on your face for 15 minutes. Take 2 to 3 fresh ripe strawberries and puree them nicely. Add 2 tablespoons of yogurt to it and mix well. Spread the mixture onto your skin evenly and wash after half an hour with lukewarm water. It will make your skin soft, supple and glowing. 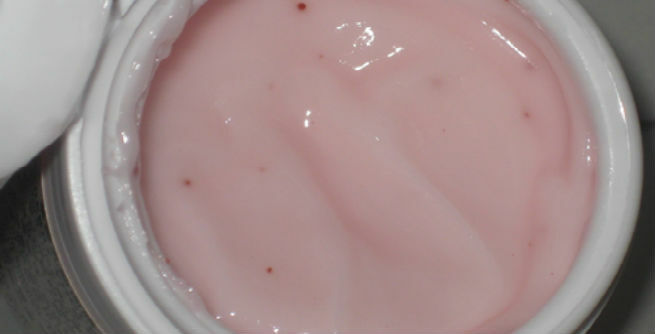 Get a squeaky clean skin with this highly effective strawberry face pack. Just crush 4 to 5 strawberries and combine 2 tablespoons of rice flour with it. Blend them together in a blender and apply on your face. 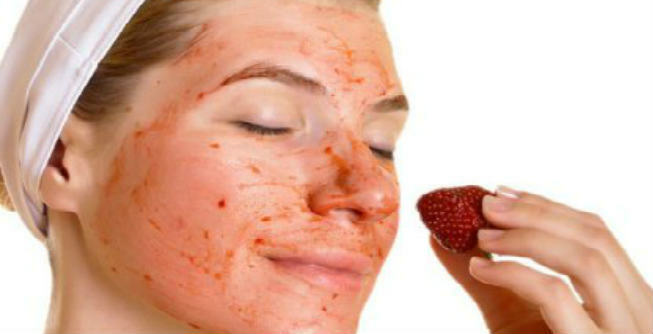 Now you can treat your oily skin in a fruity way by opting for a strawberry face pack. Reduce 4 ripe strawberries to pulp and add 2 tablespoons of fresh milk as well as 1 tablespoon of fresh cream to it. Massage your face with the mixture and reveal a gleaming skin. Dry-skinned beauties can also revive their face with a strawberry pack. Just take 2 tablespoons of mashed strawberries, 1 tablespoon of organic honey and 1 tablespoon of fresh cream in a bowl and mix well. Use the mixture at least twice a week. What about pamper your skin with a yummy and chocolaty face pack? Well, you just need to mash up 2 to 3 fresh ripe strawberries and add 1 tablespoon of cocoa powder and 1 tablespoon of raw honey to it. Blend to form a thick smooth paste. Spread it all over your skin and wait for next 15 minutes. Then, rinse off with lukewarm water. Your skin will look amazingly soft and radiant. Last but not the least, prepare a skin tightening pack by mixing 2 tablespoons of pureed strawberry, 1 tablespoon of pure honey, 1 egg white and 1 teaspoon of fresh lemon juice. By using this mixture regularly, you can tighten up your skin pores and get a youthful look easily.